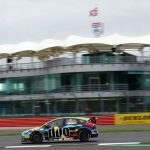 Motorbase Performance intensified its challenge on the 2016 Dunlop MSA British Touring Car Championship title at Silverstone this weekend – scoring a sixth win of the season on the National Circuit and securing ‘top team’ honours during rounds 25, 26 and 27 (September 17/18). 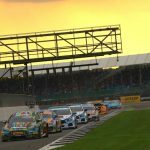 The provisional Independent Teams Champions stated their intent on the overall title with a commanding performance, claiming an outright race win and two further second placed podium spots during Sunday’s three action-packed races. 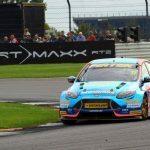 With two further top eight results from Andrew Jordan and Mat Jackson, the Wrotham-based outfit was also rewarded with the coveted Dunlop Teams trophy as the highest points-scoring squad of the weekend. 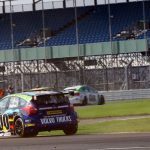 Saturday’s free practice and qualifying sessions delivered a mixed bag of results for the Kent-based squad. Red Bull athlete Jordan staked his claim on a second row start for race 1, slotting his #77 Focus ST into P4. Team-mate Jackson unfortunately struggled with a brake issue on the #7 ST and despite being only 8 tenths off pole, found himself down in 21st place. 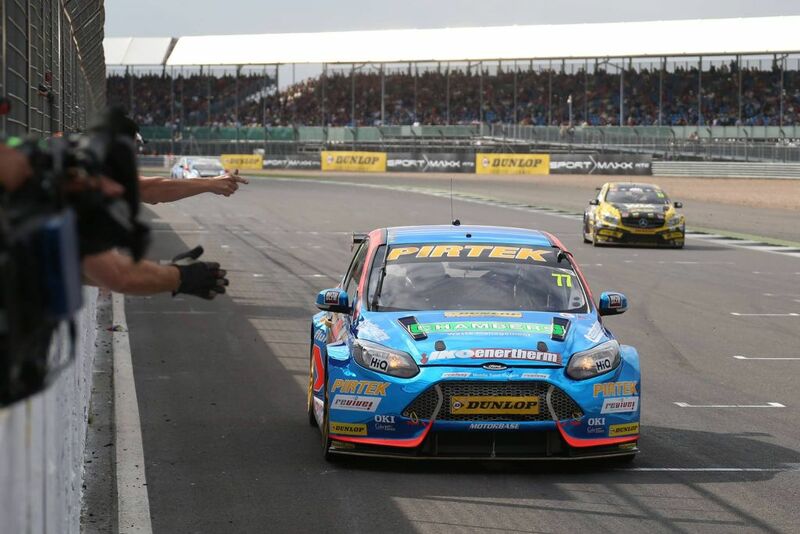 Jordan enjoyed an excellent opening race – taking 3rd place from Cook’s MG as they headed into turn 1. 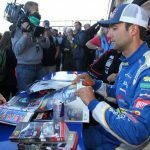 Unfortunately the Pirtek-backed driver had to relinquish the spot on lap 5 after a tussle with the Triple Eight Racing driver nearly pitched both cars off the circuit. Crossing the line in 4th, Jordan was later promoted to 2nd after both MG’s were disqualified from the race results for technical infringements. 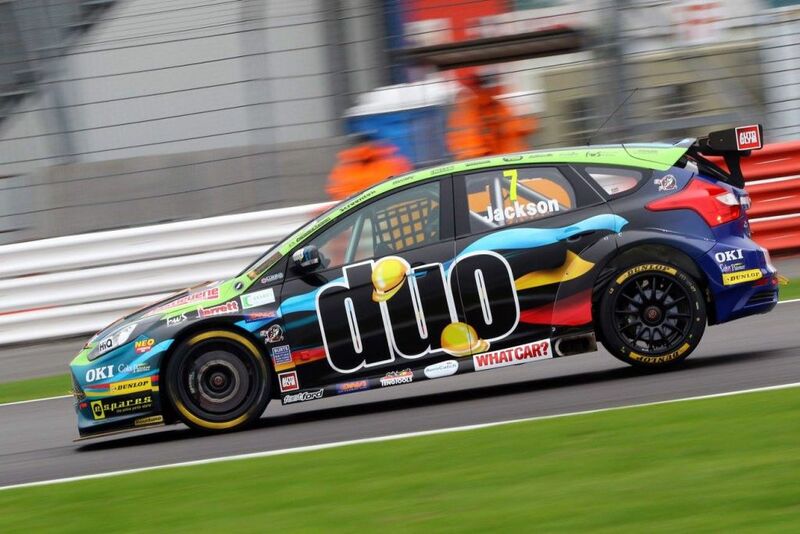 Jackson had a difficult race on the soft compound tyre, as did much of the grid, and had to settle with a P17 finish. Chasing down Ingram’s race leading Toyota in the opening laps of race 2, Jordan made this move on lap 8 as the pair headed through Becketts where he remained relatively untroubled for the remaining laps. Crossing the line with almost a full-second-lead, Jordan celebrated a hard-earned return to the top step of podium with his 2nd win of the season. 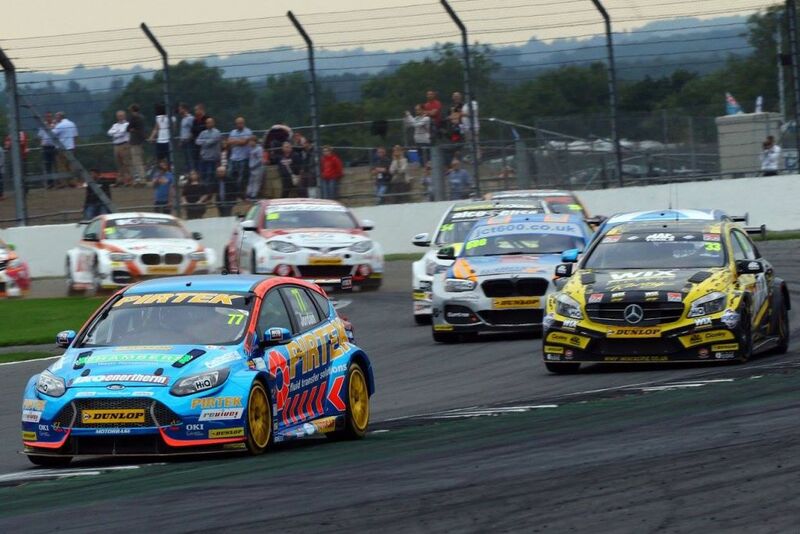 Having shed the weight and soft tyre for race 2, Jackson produced one of his trademark come-back drives. A storming start off the line saw the DUO-backed driver make his way up to 12th by the end of the opening lap. Managing to steer clear of numerous on-track incidents as the 25-lap-race unfolded, Jackson expertly worked his way through the pack to eventually bring the #7 Focus home in 6th place. 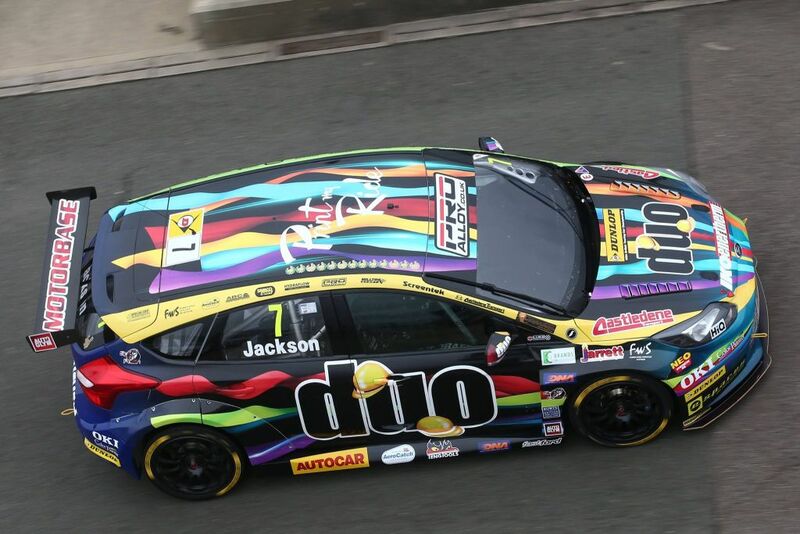 The reverse grid draw saw Jackson and Jordan slotted into P3 and P8 spots respectively for the final race of the day. 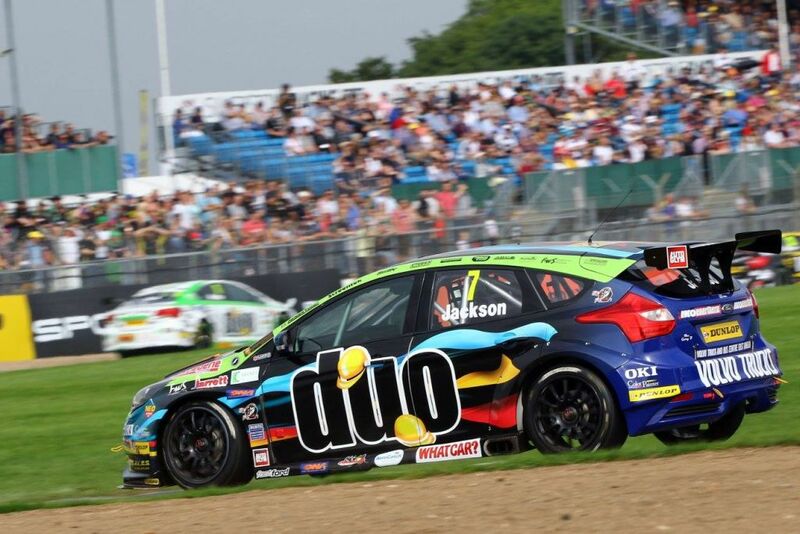 Jackson had a tough ask behind the works Honda and BMW and his race was almost over at the first turn after heavy contact with Shedden as the pair wrestled for 2nd place. 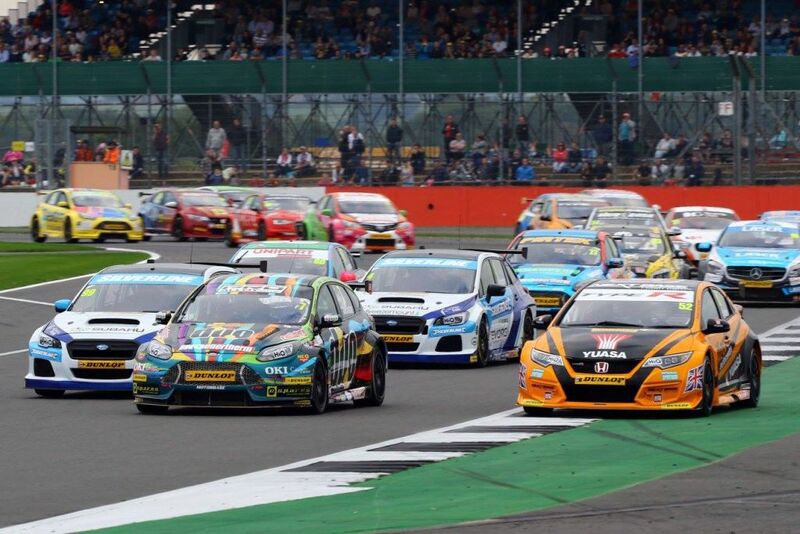 Trading places with Shedden’s Honda and Collard’s BMW in the opening laps as the trio battled for the race lead – Jackson edged his way into 2nd spot on lap 3 where he defended hard to the chequered flag – marking his 300th BTCC race with a 75th visit to the podium. 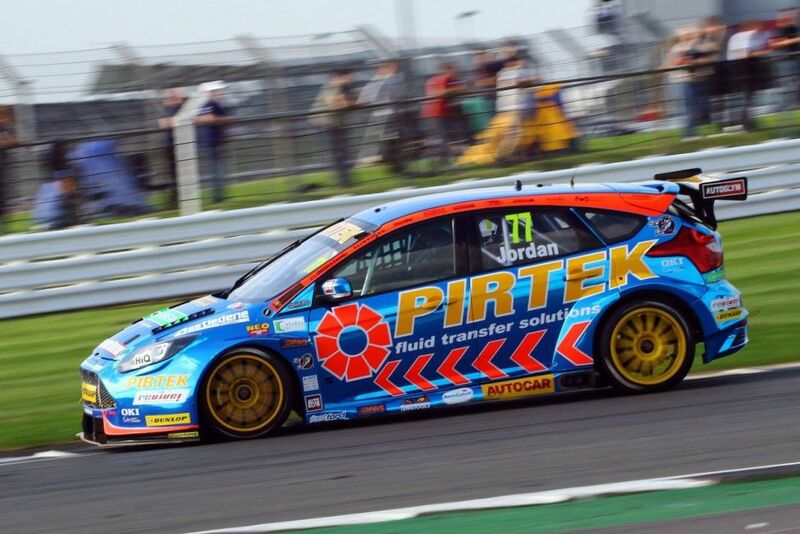 Jordan’s final race was hampered somewhat with 75kg of ballast on-board the Pirtek-backed Focus and the 27-year-old had a tough battle to maintain position against the challenging lighter pack, crossing the line in 8th. 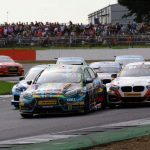 Having already provisionally clinched the Independent Teams’ Title, the weekend’s results also mean that either Andrew Jordan or Mat Jackson will also be crowned Independent Driver Champion for 2016, with both drivers heading into the season finale at Brands Hatch in contention for the overall BTCC title and Motorbase currently sitting third in the Teams’ standings. 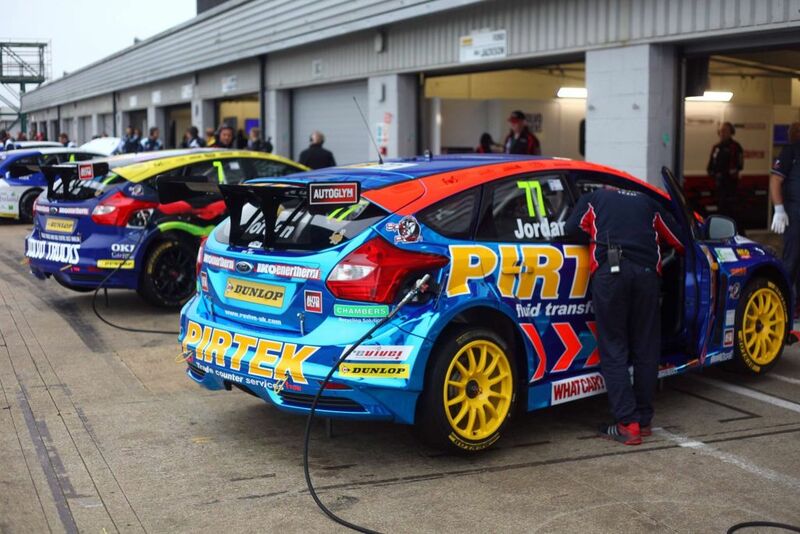 Motorbase Performance now has a short two-week break for final preparations before the season’s conclusion at the squad’s local circuit, Brands Hatch on October 1/2. 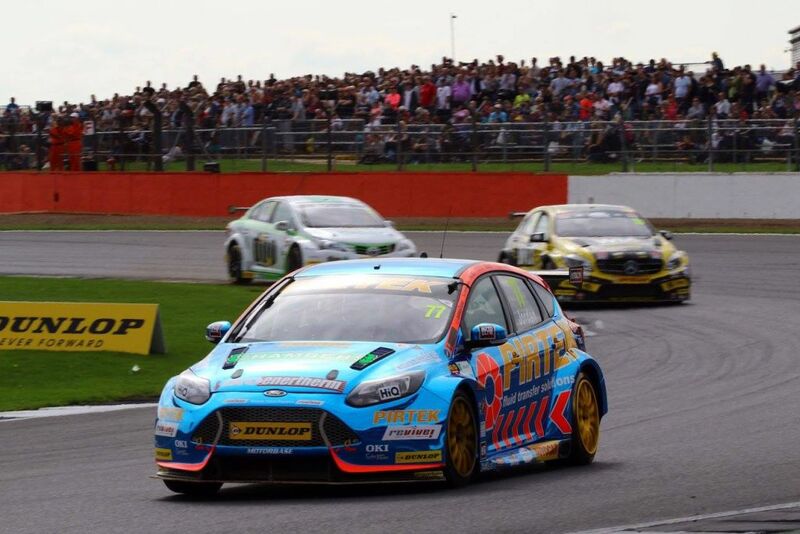 “Another fantastic weekend for Motorbase! Last time out we secured our first title with the Independents Team Championship, this weekend we mathematically secured our first Independent Drivers’ Championship, and now we go into the final weekend with both drivers having a real chance of the overall title. Picking up team of the weekend was a great way to top the weekend off too. “We really struggled in qualifying and that put us on the back foot for race 1. Unfortunately we chose to run the soft -tyre for the opening race and it didn’t work for us at all. I think everybody learnt from us in the first race and adjusted their car accordingly. Thankfully we managed to rescue what was a bad start to the weekend with a decent result in the last race. “I’m really chuffed; it’s been a cracking day to get a 2nd, 1st and to be honest, 8th is about as good as we were going to get with 75kg on board. It’s been a great team effort from everyone this weekend, everyone has done a mega job, the engineers, mechanics, team; it’s just all clicked this weekend. It’s also nice to get a little bit of luck and a chance to show our pace.